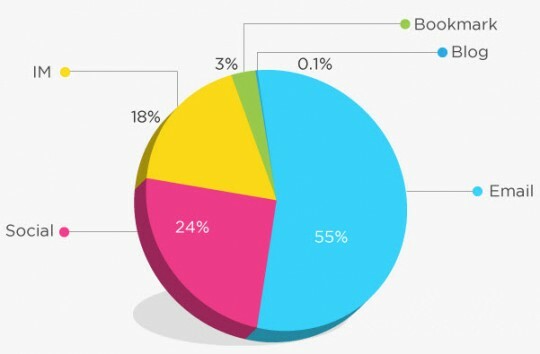 What gets more traction for publishers: content shared on Facebook or Twitter? 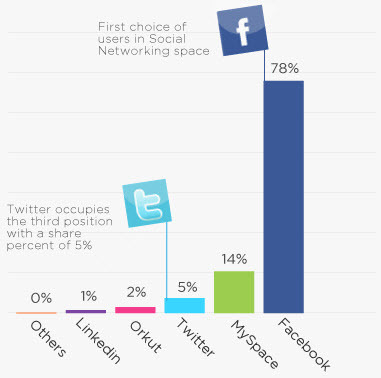 According to the Social Media Sharing Trends 2010 report from SocialTwist, Facebook dominates content sharing among social media sites but links shared on Twitter have a much higher click-through rate. SocialTwist examined content shared with its Tell-a-Friend widget from August 2009 to July 2010. 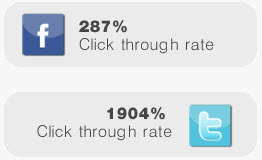 That means that on average Twitter shares got 19.04 clicks vs. only 2.87 clicks per share on Facebook. This makes sense since by design Twitter usage is focused on short comments/exchanges and sharing links while there is a lot more happening on Facebook that can take up users’ attention. But the sheer volume of Facebook sharing means that total referrals from Facebook shares are still higher for many publishers. I suppose it does make sense that links shared on twitter have a higher click through, because that is the intent of twitter, to share information quickly. Where as Facebook is built with different intentions, and is a place that holds a visitor longer. I agree Nick, that does make sense. Although Facebook is certainly trying to accommodate publishers these days so we may see this gap narrow. Interesting data, I’ll have to use this as reference, thank you for sharing.